Last week, there were two new trailers released for Level-5's upcoming 3DS JRPG Fantasy Life. The first trailer details what the game is about and details the lives/classes featured in the game. It can be viewed below. The second trailer touches on the original trailer's content while revealing the multiplayer functionality to the game. The trailer can be watched below. 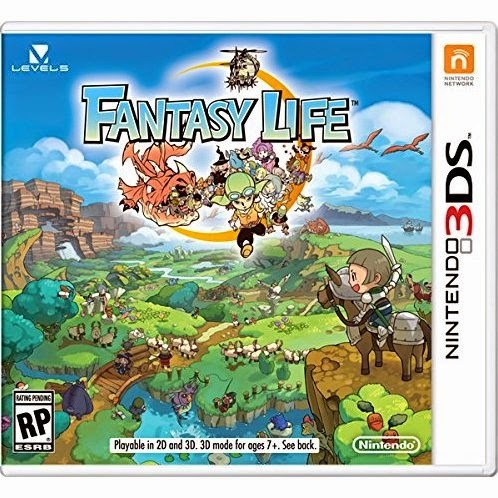 Notably, the original Fantasy Life game in Japan didn't originally feature multiplayer functions, instead released a second version of the game with the multiplayer functionality called Fantasy Life Link!, which seems to be the version that is being localised for Western audiences. For those interested in the game, release dates have also been announced. For Europe, fans can expect the game on September 26th. North American fans can look forward to Fantasy Life on October 24th. The game will be released for Nintendo 3DS consoles. Comment below or send a tweet to @JRPGJungle and let us know!